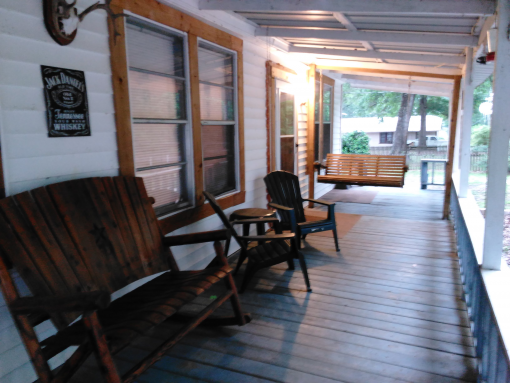 Main Cabin is only 99.00 daily, with any 7 night stay is only 500.00.Just 2 blocks from Monterrey Park an Boat Launch on Lake Sam Rayburn. 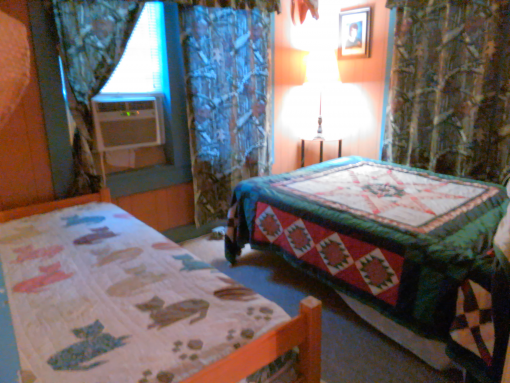 Sleeps 6, up to 8 max, 2 Bed Rooms 1 Bath with full kitchen. E-mail pawpawcabins@gmail.com for available dates. Country quite, clean an safe a Wonderful Rustic Fishing and vacation Cabin completely newly remolded but kept in it's traditional form. 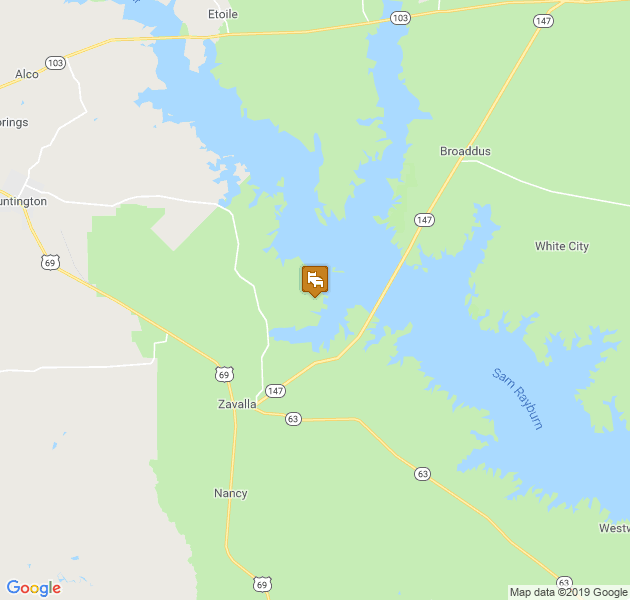 Just two blocks, walking distance to/from the boat launch, park and water at Monterrey Park on Lake Sam Rayburn, Mid lake area. 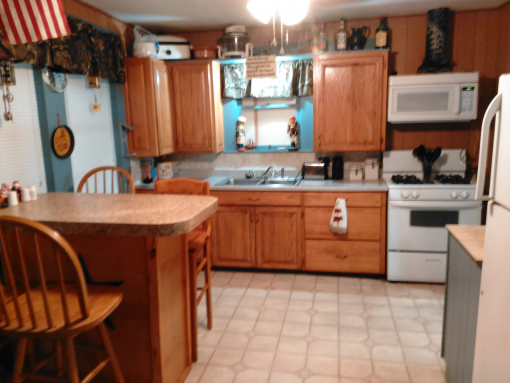 Full kitchen stocked, 2 B and 1 B with 4 beds, 1 Queen 1 Full an 2 Twin beds, amenities and linens provided. Large front porch, porch swing an grill is ready, couch and recliner in Den area with Dish TV. Monterrey Park an boat launch and lake is just two blocks away, within walking distance. 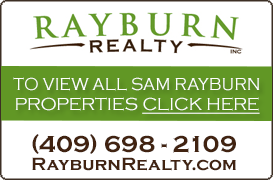 Only two blocks to the boat launch and lake ! 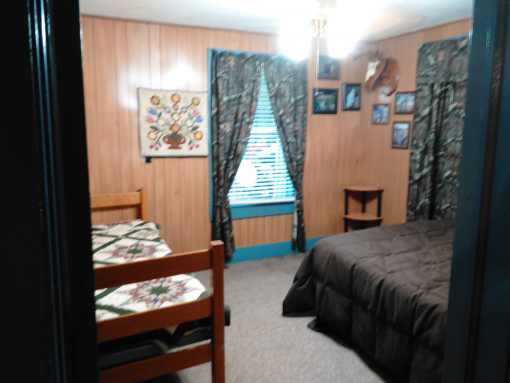 Note: Cabin is located at the dead end road of Monterrey Park Rd, nice 3.5 acres out back and with only 4 other homes in the area, we/they are all family owned family property, all brothers and sisters, our tiny little family community is very nice, quite, country and safe at the end of a one entrance road. Come make yourselves at home and enjoy !!! 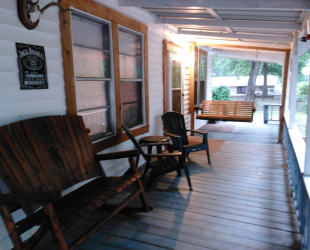 Cabin is also only 5.1 miles from Hanks Creek Park on the lake, this park provides, sandy beeches and swimming area, swings, covered tables and picnic areas, large pavilion, bathrooms etc., a wonderful full park for kids and outings. At the end of FM 3124 ( just before you go into the Park and Boat launch area of Monterrey Park) turn left onto the rock/dirt Rd veering left, at the dead end you are looking at the cabin, turn left through the big gate, pull forward and back right up to the porch steps of the cabin. Let us know and we'll be sure to have you an extension cord and accessible electricity for charging your boats. Strict no smoking policy inside the cabin, outside only please. Small pets are allowed but limited, see info below. 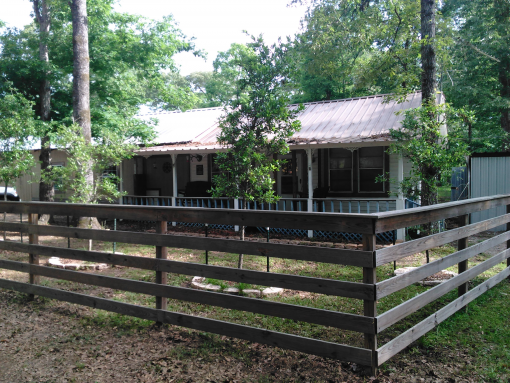 Cabin sits on a 3.5 acre tract that backs up to the Federal Wildlife Hunting Preserve "The Canyons on the lake" some 2000 acres on lake Sam Rayburn, Hunting is allowed out back behind the cabin in this Preserve, as well as walks, scouting, Bald Eagle and Bird watching in the preserve is allowed by the Core of Engineers. "Please always wear your Red visibility Vests" and check the rules of the Corp. Note also that due to this Wildlife Preserve the lake view is not possible from the cabin, its a walk or drive of about two blocks to the Boat launch lake area. Any 4 Days/Nights bookings are billed at 90.00 per day. Any Weekly or 7 day booking is booked at 500.00 for the week.